Erik shared how he felt upon reaching the lowest point of his career. 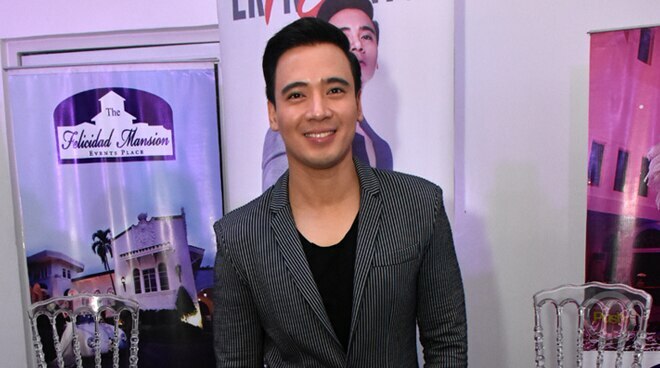 Gearing up for his 15th year anniversary concert, Erik Santos revealed that he had his fair share of highs and lows throughout his career. Though he said that he isn't the kind of person who gives up easily, he also noted that there were moments in his 15 years in the industry that made him feel like it was already the end of his career. "May point sa 15 years ko na feeling ko, end na ng career ko. May point na ako sa career na ganun. I don't wanna be specific but sa lahat naman sa amin mga artista dumadating siguro 'yung ganun 'yung you're on your lowest point. And feeling ko sa lahat ng mga nangayari parang di mo alam kung san ka pupunta, di mo alam kung san ka tutungo," he said during the presscon for his 15th year anniversary concert. "Pero minsan nabibigla ka na lang sa surprises ni God na ang daming mga fresh opportunities na dumating after that pagsubok," he added. Erik also said that even though he has felt downcast several times, he still considers his 15-year career as one of the greatest experiences an artist could ever dream of. "Greatest kasi I had the greatest managers, I had the greatest managers in showbiz, and I got the greatest experience. Kumabaga ito ang pinaka greatest experience ng isang taong nangangarap na maging isang mang-aawit," he said. Meanwhile, Erik Santos' 15th anniversary concert: My Greatest Moments is happening on September 22 at the Mall of Asia Arena.